This article is about the "no no's" and "do not's" of listing your home. 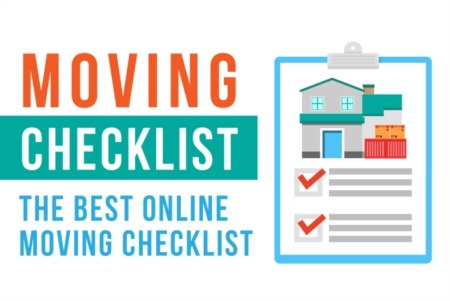 If you are considering an upcoming listing, I'm going to give you a comprehensive list of things to avoid, correct and change prior to listing your home for sale. Some of the things listed below are common sense items you've heard many times. However, in my ten plus years of real estate experience, I have added a few things of my own. 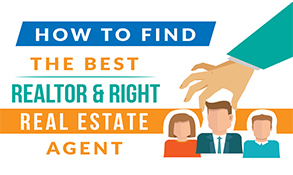 My best advice and overall theme to this article are the following points - (1) Buyers want turnkey properties and they do NOT want to do work! (2) If you're too lazy to do the needed work, I can promise you a buyer is not going to do the work. 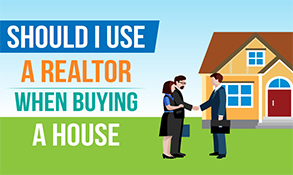 And, (3) whatever you do, don't use the old line, "I'm not going to change anything because I'm going to let the new buyer do whatever they want to the home." Do Not Make a Bad First Impression! You don't get a second chance to make a first impression. This first impression? Curb appeal. It's a term we agents like to throw around. So, let me ask you - how is your curb appeal? Curb appeal is defined as the impression a potential buyer gets when they first drive up to your home. Is your grass mowed neatly? Is the grass even alive? Do you have good landscaping of seasonal flowers and perennial plants? Are the flower bushes filled with fresh mulch? If you answered no to any of these questions, your curb appeal needs help before placing your home on the market. Below, I have included photos as examples for bad curb appeal vs good curb appeal. 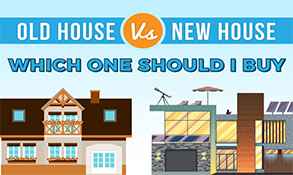 Which photo does your home closer resemble? Ever heard the saying, "if I had a dollar for every time I've heard _______________, I'd be rich"? Yes, I'm going to use that saying here. 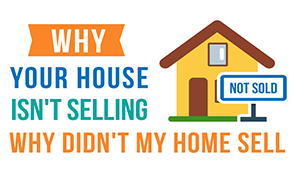 In my years of helping buyers find new homes, "If I had a dollar for every time I've had a buyer tell me they were not interested in a home simply by driving up to the home for a showing, I'd be rich!" Curb appeal really, really, really matters and it is the first chance you have to make a great impression on potential buyers. 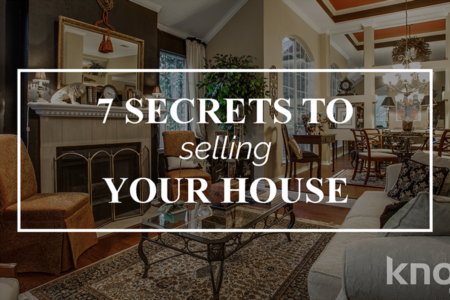 It is also a critical point where a buyer decides if they even want to see the inside of your home. If your curb appeal is poor, the agent showing the home will almost have to drag the clients into your house. I promise that at least 50% of clients I have will decide not even to get out of the car and look at the interior of the home if it presents itself poorly with the curb appeal. Look, landscaping is generally pretty inexpensive. Home Depot, Lowes and other hardware stores all carry a wide variety of local, basic landscaping plants to improve the look of your home for maybe a couple of hundred dollars. If you have dead grass which needs replacing, do it! If you are too lazy to do this minor "repair" on your home, I can promise you that it will cost you both money on any offer you receive and it will cost you potential buyers. Nothing looks worse when potential buyers approach your home for the first time than your gutters stuffed with leaves, branches, and debris. This gives the impression that you do not care about the condition of the home and that you have failed to maintain the home as it should be maintained. Buyers will start actively looking for other issues to your home rather than just enjoying their tour and falling in love with the house. Don't give buyers a reason to start hunting problems. Once this happens, you've lost them. Gutters are relatively easy to clean and repair. This is one of those issues you can either fix now or fix later when it shows up on a home inspection report the buyer conducts. Personally, I'd advise you fix it now... that way it won't be one more thing added to the home inspection report as needing repair. You want a home inspection report to come back as clean and defect free as possible. This is an easy fix. Do it. Again, an issue which will rear its ugly head on a home inspection. Before you list your home, make sure your sprinkler system fully works. And by fully, I mean every head operates and pops up as it should, there are no zones or sections which do not operate, etc... 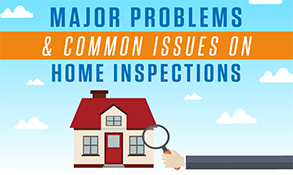 If you don't make the repairs prior to listing the home, it will pop up on a home inspection. What's worse? 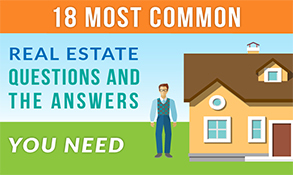 Most of the buyers I've seen who are alerted to a sprinkler system issue will want the seller to have the system fully checked by an irrigation company. That means you'll be spending a few hundred dollars for an irrigation company rather than just having fixed some broken heads and such yourself. Sprinkler heads are literally one of the cheapest and easiest things to fix around your home. Irrigation systems installed within the last two to three decades use PVC piping which is threaded and it literally allows the homeowner to simply unscrew the current sprinkler head and replace it with a new, functioning head - lefty loosey, righty tighty. The last time I priced sprinkler heads, I think the Rain Bird sprinkler heads cost around $4. Replace them. It is true when you own a home, you can do whatever paint colors and designs you want inside the home. If your daughter wants a pink bedroom, paint it. If you like the color purple and you want a purple room, do it. If you want to sell your home, repaint your pink, green, purple and yellow rooms. Your home needs to be painted in neutral colors. And, it needs to be painted throughout in the same neutral color. I like tans as far as the color pallet with crisp white ceilings. Personally, I recommend the Sherwin Williams contractor grade paint. Don't pay more for premium paint when you are selling the house. "Designer paints" don't make a bit of difference to a buyer...colors do. As I've said before, go and look at some new construction homes built by new builders. I promise their rooms won't be painted in odd, personal colors. Builder colors will be warm, neutral colors which will appeal to everyone. Builders of new homes sell to the masses and they hire decorators who know what colors are in style and trendy with buyers. If you must, copy their colors. Buyers love backyards. They envision a grill, outdoor furniture, friends and their families hanging out in their backyards. It's a romantic vision buyers have and they want to walk around your yard and fantasize about their parties to be. What could hurt this? How about an unpleasant experience of stepping right into your dog's mess! Plus, not cleaning up the mess will make your yard stink and it has been proven that smells can make a home not sell. Why do you think people bake cookies and apple pies prior to showings? What's the opposite to freshly baked pie? A big pile of dog mess! Clean it up daily while your home is on the market. In addition to removing the dog mess from the yard, fill in any holes the dog has dug. Nothing looks worse for a yard than a bunch of craters in the ground where the dog has apparently been digging. Dogs dig, I know that. My dog digs. But, if you are selling your home, get some dirt, fill in the hole and cover the hole with a piece of fresh sod. Kyle Hiscock has a great article about selling a home with pets. 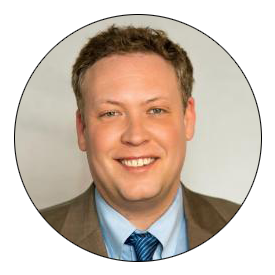 Read Kyle's article for more advice when selling your home with pets. Do not assume buyers will just "look past things" when they look at your home. That's simply not true. Your inability to keep your kid's toys put away and neat will hurt the sale of your home. Buyers will spend more time looking at the mess and talking about the mess than they will be looking at your home. They will judge the overall appearance of your home and whether or not they want your home based on the messes they find inside. They're likely to even judge you as a parent based on the messes. Clean up the toys daily. Messes like toys will leave a bad impression on buyers. It leaves the impression that you don't really care about your home, even if that's not the case. In the heat of the summer, nobody wants to walk out of the summer heat and into a hot house. 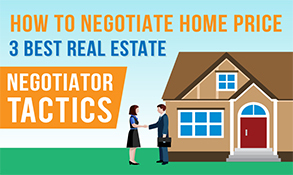 Neither the agents nor the buyers want to walk into a hot home. First, it makes an unpleasant experience and buyers will not stay very long at your home if it is too hot. The other thing I've heard over and over in ten years when a home is too hot... the buyers will start questioning if the AC works properly. 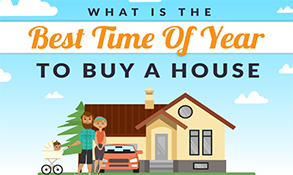 It may sound strange, but this absolutely does affect a buyer's perception of your home. I promise. 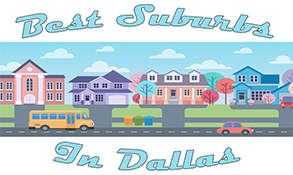 Here in Texas where temperatures are currently over 100 degrees during the summer months, I tell all of my sellers to set their thermostat on a brisk 70 degrees (or cooler) while their home is listed. I promise that buyers would rather be too cold than too hot. No matter how cute or clever you think your family photos are, do not leave a gallery of them hanging on the wall. Buyers will spend more time looking at these photos than they will be looking at your house. 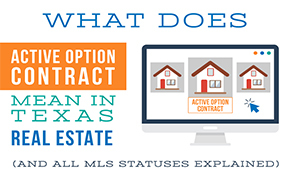 Plus, when listing a home, buyers want to buy a lifestyle. They want to buy a home they can see as theirs. If all they notice are your pictures and your personal things, the buyers won't be able to envision the home as their home. Take down the "cute" pictures. These cute family pictures are for Grandma, not buyers. Ever watch Frasier the television show? Remember Frasier's dad's old green chair? The chair with duct tape? Yeah, if you have anything like that in your home when you plan to list it, get rid of it. Or, at least store it somewhere besides the home. No buyer thinks the chair is as nice as you do. Again, it makes your house look bad and buyers will get an overall bad taste for your home when they see old, nasty furniture. Your furniture should look like it is staged just as if it would be on the showroom floor of the local furniture dealer...not like it is waiting for the pick up from Goodwill. Many times your roof is in need of some sort of repair. And, more likely, you have homeowner's insurance which will cover higher priced repairs to your roof. Before you list your home, get a roofer out to give you an assessment of your current roof. Most roofing companies will give you a free estimate. If the estimate is high, turn it into your insurance company so they may send out their own professional adjuster to give you a second estimate. If the needed repairs are minimal, spend the money to make the roof right. Roofing, like some of the issues mentioned above, is one of those things which will come up in a professional home inspection. If you are prepared and you have already spent the money to repair small or large roofing items, your agent may provide the invoice and seal of approval from a professional roofing company stating that everything is A-OK on your roof. Roofs are something most buyers are scared about being an issue. If you can give them a clean bill of health on your roof, you've just crossed a big hurdle. 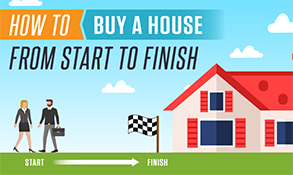 Again, do this before the inspection so that it does not delay a closing while the home is under contract. If you haven't looked at the roof and there are major repairs needed, a buyer may walk away in the time it takes you to get the repairs coordinated through your insurance company. In addition, a bad roof will be a major issue on both sides of the transaction. As a seller, you will have to face the facts that no buyer will want your home with a bad roof, or a roof which needs major repairs. Some sellers push to sell the home "as is." When you sell a home "as is," please remember that the buyer will be the most expensive contractor or repair person you will ever meet. If the buyer has to spend $10,000 to repair your roof, they will subtract at least $20,000 from their offer. In order to take your "problem" of a roof, they will want a great deal on the purchase price. The buyer will "charge you" for having to do the work. Problems on the buyer side - first, no buyer is going to buy a home with a significant roofing issue. Second, the house will not be able to be insured by the new buyer if it has roofing issues and the deal will ultimately fall apart. Third, the buyer won't be able to close with a bad roof because most lenders would categorize this as a major issue and will not loan money on a home with major issues. Lighting is a huge part of selling a home. Replace the lights with new light bulbs. Not being able to turn on lights will turn off buyers. Not replacing burned out and broken bulbs leave the impression that you don't care much about your home. New lighting options can really make a home "pop." If you think you are in need of a new chandelier for your kitchen, dining or another room, Home Depot and Lowes both offer cheaper, basic options. If you want to get fancy, see ZGallerie or Lamps Plus.